An impressive slate of experimental poetry from Vietnam dominates the inaugural edition of our Prize. The inaugural edition of the Prize received a total of 40 submissions; out of the 40 submissions, Sing Lit Station compiled a list of 57 poems published by 18 eligible literary journals / publications, to be read blind by our panel of judges. Sing Lit Station is proud to release our full list of winners of the 2018 Hawker Prize for Southeast Asian Poetry. Special interviews with the editors of the winning journals can be read here. she gives me a sense of place to go back to, your voice from last night flickering at the edge of my ear as two strangers together are finding their way to the sea, as if just she and no one else would lead the way, though whoever she is i don’t know, a vague pronoun, a distant presence, a gentle reminder, she’s never yet here, and more, is not here now, just she alone no one else knowing the way, google maps’ three hour walk from the hotel just a cheap trick is all, don’t worry, we’ll get to sea before dawnbreak in time to admire the sun, since the sky was still its velvety grey, stone paths still with untouched dew while half-closed horse’s eyes dream the wooden clomping of colonial hooves, while three-wheeled motos cast their gaze on a soundless bell tower, while death quiet windows hold traces of the ancient castle and sleepless morning stars, while gravestones pale the moon, my strange blind hand opens ready and is clasped in someone’s grip, as if that stranger were locating me in a possible place, a possible relation between me and sea, a possibility of sea, will be the sea before dawn breaks, will sun, the reasoning of eager steps, the breath of sea is rousing, the sea must be somewhere here, behind this slope, beneath that hill, left of me, right of me, on me, beneath me, surfacing me, descending me, facing me, far back behinding me, out yonder distancing me, right there alongsiding me, i’m backing to sea the way a cast away child hungers for home, i’m getting to sea as a city dweller thirsts for wild winds, i’m going to sea with the heart of a sailor, i’m coming out to sea with the kids who greet fishing boats, i’m entering into sea as a sleepwalker enters the abyss, i’m surfacing sea with deep dwelling mermaids, i’m descending sea following the steps of mountain goats, i stir bewilderment into my navigation by envisioning other possible relations with sea, other possibilities of sea, but the sea must be somewhere here, behind this slope, beneath that hill, left of me, right of me, on me, beneath me, surfacing me, descending me, facing me, far back behinding me, out yonder distancing me, right there alongsiding me, the breath of sea is rousing up a fragrance, now i need to know if i want to enter in or come out, be back or get to, surface or descend, if i step with the feet of homecoming or with the heart of a sailor, carrying dreams or street dust, as a guest who envisions belonging, who calls for tremendous immensity yet still dreads the strange water strange people, which sea is foreign, which people familiar, i reveal to you dear, in my land no one relishes in crossing the sea, plain no two ways about it, i reveal to you dear that i am here stricken with tremendous-immensity-indecision, a rare disease, scared and more wanting, shy and more electrifying, you must be somewhere here, behind this slope, beneath that hill, left of me, right of me, on me, beneath me, surfacing me, descending me, facing me, far back behinding me, out yonder distancing me, right there alongsiding me, the breath of you is rousing, now i need to know if i want to enter in or come out, be back or get to, surface or descend, approach or distance, be left or right of, be horizontal or vertical to, my feet still wanting, the firmament’s feet still there, illusory pedestal of sky, the horizontal line shaping the sea, the intercepting fence where tremendous immensity pivots, the innocent indicator of direction, the firmament’s feet still there, feet with an endless dream of moving while still fixed, the horizon sustains me upright, the horizon cuts me crosswise, the horizon fences me from falling into that further tremendous immensity, the firmament’s feet like my feet on earth’s surface, like my feet teetering on sea’s surface, a mattress teetering on waves, salt hunting skin, wind snapping face, the firmament’s feet still there, proper orientation, sure enough, she gives me a sense of place to be back to, she’s magically deceptive, or google maps’ not just a cheap trick after all, will come out to sea, enter into sea, get to sea, descend sea, surface sea, go to sea, be back to sea, be back with tremendous immensity, will sea before dawn breaks in time to admire the sun, i have seen the line at the bottom of sky crack glimmers of clear light, i pulse with tremendous-immensity-indecision, scared and more wanting, shy and more electrifying, the fear of not having a place to go back to is nothing compared to the fear of vanishing in the middle of that place, the angst of not being able to get to a tremendous immensity doesn’t touch that of being in the middle of tremendous immensity, getting to sea before dawnbreak causes much less misery than trying to resolve my relation with sea, to ease the heart, i should fabricate a bed out of sea, build a house out of tremendous immensity, even if the sea is just one tremendous immensity shredded on a map of belligerent corporations, am i in my region or your region, foreign waters familiar people, foreign people familiar waters, i have seen the line at the bottom of sky crack glimmers of clear light, i lift my gaze, your voice breaks across my ear, all at once a tremendous immensity is slit, i fear a false orientation, a misorientation with sea getting to river, my tremendous-immensity-indecision rises to a peak then softly shatters, facing me a river tiny as a stream, water choked with garbage glistening, google maps one huge cheap trick, or it’s the illusion of her disorienting me, making me non-orientational, in time for dawnbreak, tremendous immensity must be somewhere here still, behind this slope, beneath that hill, left of me, right of me, on me, beneath me, surfacing me, descending me, facing me, far back behinding me, out yonder distancing me, right there alongsiding me, the breath of tremendous immensity is rousing up a fragrance, now i need to know if i want to enter in or come out, be back or get to, surface or descend, approach or distance, be left or right of, be horizontal or vertical to, my feet still wanting, the firmament’s feet still there, the sun on whichever side it rises is still the sun, she whoever she is i don’t know, a vague pronoun, a distant presence, she gives me a sense of place to be back to, she gives me the illusion of proper orientation, who knows if this sea has ever been real, or if it has died, dried, began, concluded, had an orientation and was a disorientation, she had been the place to be back to and had been tremendously immense, two strangers have come out to sea, entered into sea, gotten to sea, descended sea, surfaced sea, gone to sea, been back to sea, or are still teetering on the bed entering into the abyss, still last night’s bed, the strange blind hands opened ready and clasped in someone else’s, teetering sea dream comes when the window cracks glimmers of clear harsh and dazzling light that ruptures the tremendous immensity of a black night, and i burst out laughing, hopeless, radiant, feral, i made it in time to break dawn surfacing the sea, i missed the time to break dawn surfacing the sea, in my ear, your voice still flickering, she gives me a sense of place to be back to, and i release myself into disorientation, tremendous immensity, but in fact, is that sense necessary? Translator’s Note: “bottom of sky” is the literal translation of “chân trời,” which is commonly understood to be the horizon. With “chân” comes the concept of a base, directly referring to the leg or the foot, so that the space of the sky is seemingly standing on, held up by, this line. salami, cheese, bread, apples, kiwis – so many kiwis. with his blade, coring out the little white nub at the end. comfortably quiet, knives scraping careful as woodwork? Editor's Note: This poem first appeared on The Kindling, and was published in Jenny's pamphlet Gaps (The Poetry Business, 2017), which was awarded the New Poets' Prize. and flimsy, so clear you can see through it. one is supposed to conjure the wolves. when the moon eats the night and the trees begin to stir. avoid the boat and plunge into the waters. the hound is by your side. do not stop to search for loved ones, just keep going. the problem is looking back, and then, to stop moving. one by one the bodies died. taking the history of their lives into a long sleep inside a box under strips of fine linen. sad stories happy stories dreams that turn into reality crumble into pieces frozen into stiff bodies. the body prays for the rain never to come and god grants the request. the body pretends to understand the words in english books. the body climbs to the top of a tree and watches kids playing football under its canopy. the body blows bubbles in a playground. the body rides a becak with mother and the becak flips over on a kerb. the body makes love in an attic there’s a hole on the roof where mosquitoes swarm in. the body endures rude calls from debt collectors. the body is bored with life. the body has given birth to so many children. the body loves and hates them in equal measure. the body spends hours and hours in a coffee shop writing poems that never end that nobody ever reads. the body endures insults for not lending people money. the body does secret work for the government. the body does not-so-secret work against the government. the body has never had a father or a mother. a child tries to give the body a full body massage and they laugh so hard. the body sways silently to the rhythm of a song in a half-filled bar. the body cries when she watches a detective series on television. the body earns fifteen minutes of fame from winning a national singing contest. the body watches a little girl as she stares at the window displays in a mall from inside a toy train. the body knows the girl is thinking i will never have everything i want from those shops. the body plants a starfruit tree. the body rides a commuter train and watches a beggar wipes the floor with his bare hands. the body feels useless. the body feels guilty because it is useless. the body feels guilty out of a sense of guilt since there are clearly other people with bigger problems. the body gets angry about little things when it is really angry about bigger things. the body’s parents left her. the body has become soft earth to be dug up again no one knows when. the body has become a pile of ashes kept in an earthen jar. the body is thrown into the sea and becomes one with the foam on top of the waves. the body rises up from a chimney and disappears below a cloud. 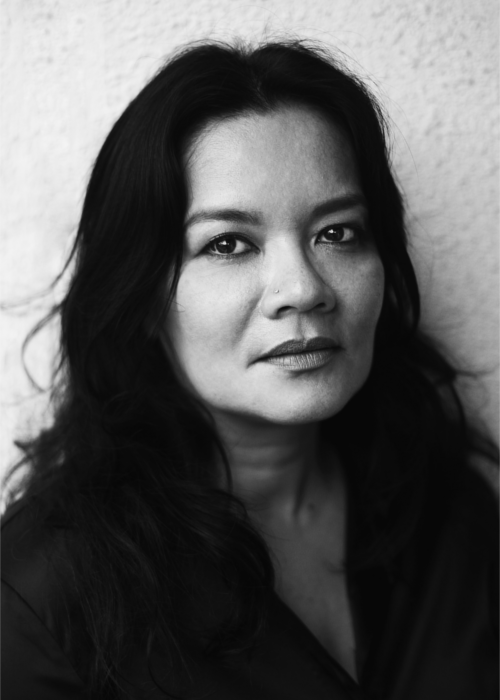 Olin Monteiro is a prolific writer, feminist, film producer and publisher of women's books. She has worked extensively with women's rights organisations since the 1990s. She has published 11 books through PBP Publishing and Art For Women, a feminist / educational non-profit publisher and arts organiser in Jakarta. To date she has also produced 5 documentaries focussed on women's stories and women's rights. Ng Yi-Sheng is a Singaporean poet, playwright, fictionist, critic, journalist and activist. His books include last boy (winner of the 2008 Singapore Literature Prize), SQ21, Eating Air, Loud Poems for a Very Obliging Audience and Hims. 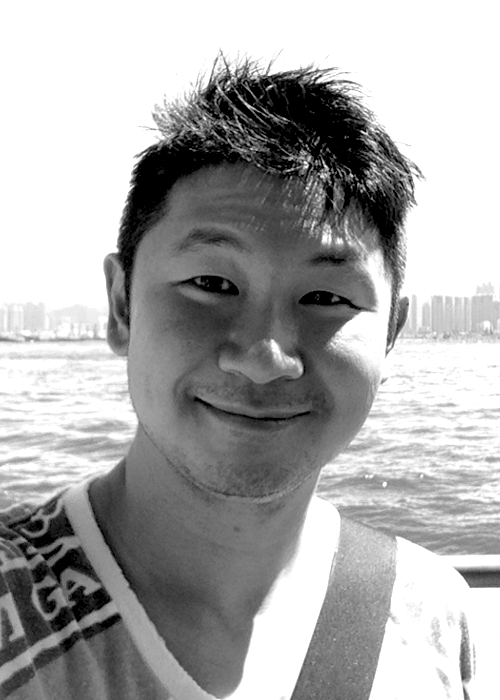 Additionally, he translated Wong Yoon Wah’s Chinese poetry collection The New Village and has co-edited various national and regional anthologies. Every August, he co-organises the annual cultural and activist festival IndigNation.